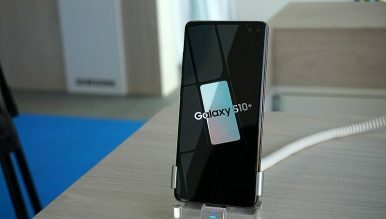 Samsung Electronics announced last week that it would be releasing its Galaxy S10 5G smartphone on April 5 to make South Korea the first country with a 5G phone on the market, beating out Motorola’s Moto Z3 in the United States by six days. This achievement, however, is largely symbolic. South Korea is well positioned to take advantage of the early rollout of a 5G network but maximizing its benefits in the long term will take much more than being first. 5G is the next generation of wireless communications, expected to usher in a new wave of the Fourth Industrial Revolution. It is about 20 times faster than 4G LTE technology — in other words, the amount of data that now takes 20 seconds to deliver will be sent in just one second. This is anticipated to lead to technological breakthroughs in a multitude of fields, ranging from medicine to retail. Some estimates put the added value of 5G to the global economy as high as $12 trillion by 2035. Recognizing its latent possibilities, 5G has been a core component of South Korean President Moon Jae-in’s Fourth Industrial Revolution-focused economic agenda. South Korea’s Ministry of Science and ICT plans to invest 86.3 billion won ($76 million) on 5G research and development by 2020, which it expects to contribute to growth in areas such as smart manufacturing, smart cities, and autonomous vehicles. In the 2019 government budget, the National Assembly also included an investment tax credit to encourage service providers to build new base stations. Even though 5G has been a government priority and Samsung will be first to market with a 5G phone, South Korea is still a few years from its widespread commercial use. Only a limited number of Galaxy S10 5G phones will be available at release and there are supply chain issues to be worked through before its mass production. South Korea’s three largest mobile providers – KT, SK Telecom, and LG Uplus – are expected to have 5G plans available in time for the Galaxy S10 5G but are working to expand the existing network mostly based around Seoul. The three plan to invest between 20 to 25 trillion won ($17.6 to $22 billion) in the next four years, starting in Seoul and other major metropolitan areas. Considering the work that needs to be done, 5G is not thought to be in widespread commercial use in South Korea until 2023. Being an early adopter of 5G is driven not only by Seoul’s desire to take advantage of its potential gains, but also by an awareness of how these gains can offset losses in major industries facing increased competition from China. Semiconductors have been a major boon to the South Korean economy in recent years. Semiconductors were the country’s largest export last year, with 141.4 trillion won ($126.7 billion) in sales. However, the global super-cycle behind this windfall appears to be ending as demand for semiconductors has dropped since the fall of last year. When demand rebounds, it is unlikely that South Korea will replicate recent successes in semiconductors in light of growing Chinese competition. Beijing has made semiconductor production a key pillar of its Made in China 2025 agenda. Many Chinese companies have already started making chips as part of this strategy and the government plans to financially support the creation of new facilities – including a 50 billion yuan ($7.3 billion) fund in Chongqing. South Korean shipbuilders have also seen their market share eroded by Chinese firms. In 2018, South Korea took back the title of the world’s largest shipbuilder in terms of volume of orders, after having conceded the spot to China in 2012. The lower cost of Chinese labor in such a labor-intensive industry has attracted more orders in the past few years, but growing demand for technologically advanced vessels favors South Korean shipbuilders. Still, many South Korean industry experts consider competition from China to be a major long-term threat. Although quickly moving to 5G will help South Korea diversify away from its reliance on major industries facing an uncertain future, Beijing is also not far behind in adopting the next generation of broadband technology. Only a limited number of base stations have been built to date, but Chinese service providers plan to invest $58 billion over the next two years. China Mobile is also not far behind Samsung in launching its first 5G smartphone with a planned release in the first half of 2019. GSMA – a telecommunications industry trade group – estimates that there will be 460 million 5G connections in China by 2025. With China’s massive potential userbase hot on its heels, South Korea’s first-mover advantage by itself is unlikely to amount to much. This is not to say that Seoul should be any less enthusiastic about promoting 5G. At least in theory, the major global economic gains brought on by 5G and South Korea’s competitive advantages in higher-end technologies should still leave enough room for both countries to significantly benefit. However, there are major limitations to only looking at the speed of getting to market. For Seoul, maximizing 5G-led economic growth won’t only be determined by being an early adopter. Rather, it will require a greater emphasis on protecting the intellectual property of companies underlying this growth. Cyberattacks originating in China have been a major concern for many governments, particularly the United States. Washington has accused China of hacking American companies to steal intellectual property and is currently embroiled in a major legal dispute with the Chinese telecommunications company Huawei. While Huawei and countries seeking to do work with the company have cited that there is no evidence to support Washington’s claims, there have been confirmed instances of Chinse cyberattacks against U.S. companies throughout the past decade. The United States and several other countries are opting not to use Huawei hardware in building their 5G networks, but South Korea is leaving that decision up to individual telecommunications companies. Of the three largest service providers, only LG U Plus is considering utilizing Huawei technology. Whether current fears over using Chinese components prove true or not, Seoul will still need to play a more active role in protecting the intellectual property of its companies and defending its digital infrastructure as the country transitions to 5G. This should not only mean cybersecurity measures, but also working with other governments to build stronger international laws governing cybersecurity and digital trade. Failing to do so won’t stop South Korea from winning the symbolic race to the first commercialized 5G network, but it will slow them down in the race that matters. Kyle Ferrier is the Director of Academic Affairs and Research at the Korea Economic Institute of America (KEI) and a contributor to The Diplomat’s Koreas blog.